Throughout World War Two the German night fighter pilots guarded the night sky over Europe, protecting industry and towns, as well as their own homes and families, from the ever increasing RAF Bomber Command raids. The nightly battle was fought ferociously as the enormously high casualties suffered by Bomber Command testify. Although the sacrifices of Bomber Command have now been fully detailed, scant information has been available from German sources that might identify the Luftwaffe night fighter pilots who inflicted such a heavy toll on the raiders. Many former aircrew, their relatives and enthusiasts, have wished for a detailed listing of the Luftwaffe pilots’ claims to help answer their most pressing question, ‘Who shot down that aircraft’. 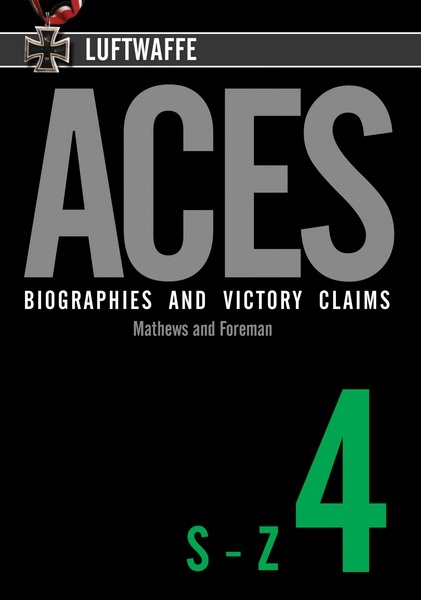 That information has never before been available from a single source and information came only from fragmentary records or jealously guarded private archives. 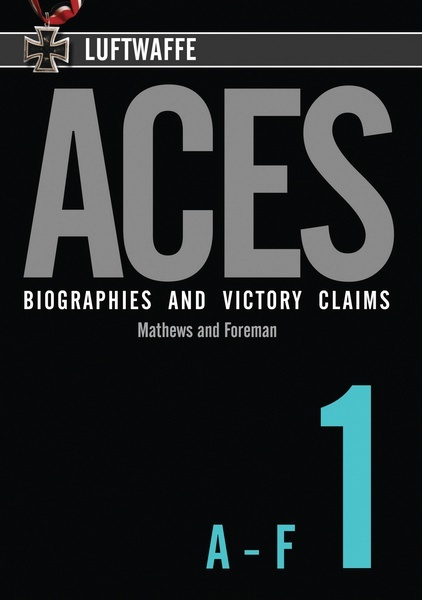 Historian and author John Foreman has joined forces with Johannes Mathews and Simon Parry to make available the results of many years of research and to provide the definitive list of claims submitted by Luftwaffe night fighter pilots for Allied aircraft shot down in WW2. Each entry provides the following details: Date, Time, Location, Type of aircraft shot down, Claiming Pilot and his Unit. 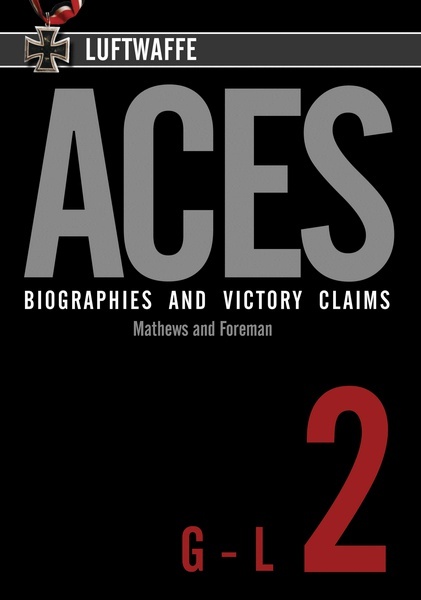 Entries feature claims against American, Russian, as well as Bomber Command aircraft. 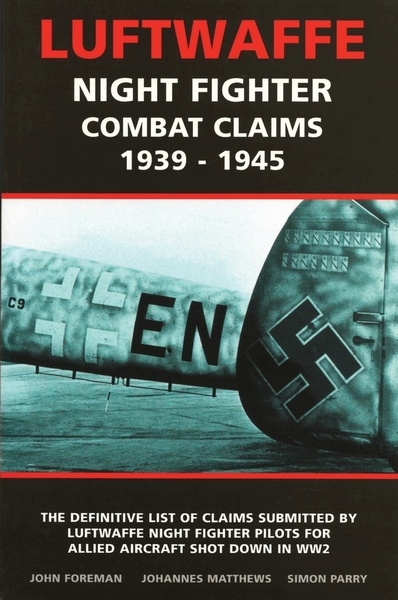 This unique reference work will provide a vital tool for those researching the night combats over Europe, whether from the Luftwaffe or Allied view point, and compliment the list of Bomber Command losses already available via Midland Counties Publications. John was born in 1942 and remembers nothing of the war except for hiding beneath the dining-room table when the flying bombs approached. He began to seriously research the Luftwaffe and air combat in the early 1970s, visiting many Luftwaffe Aces in Germany. After retiring from the telecommunications industry in 1992 he has concentrated on writing and researching full-time and undertakes contract research for authors and historians from all over the world.